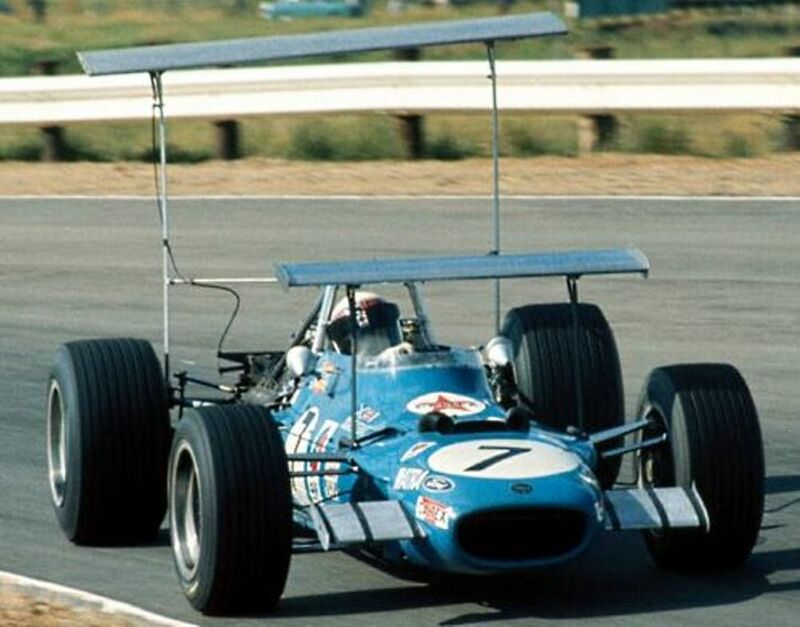 Jackie Stewart opened the season with a win for Matra, leaping from fourth to first on the opening lap and remaining there for the entire race. Graham Hill finished second in his Lotus, with Denny Hulme third for McLaren. Following on from their use the previous year, the spectacular high wings had become even more extreme - and even more dangerous. Lotus suffered a number of failures in practice and Jack Brabham’s broke during the race, forcing him to pit to have them literally cut off. Even then, the broken wings had done so much damage to the rest of his car that he had to retire anyway. Jody Scheckter won his home grand prix for Tyrrell, fending off Carlos Reutemann’s Brabham for much of the distance. It was an impressive effort given that he’d destroyed his car in qualifying and had to take up the use of the spare car for the race. Given the way the team had utterly dominated qualifying, it was no surprise to see the two Renaults streak clear of the field and look set for a comfortable one-two. Unfortunately for leader Jean-Pierre Jabouille, a puncture put him out of the race with just 17 laps to go, leaving René Arnoux to win his second race in a row. The Ligiers of Jacques Laffite and Didier Pironi finished second and third, making it an all-French podium for both drivers and teams. F1 returned to South Africa for the first time since 1985 - still at Kyalami, albeit on a heavily-revised version of the circuit which was nowhere near as good as the old high-speed layout. 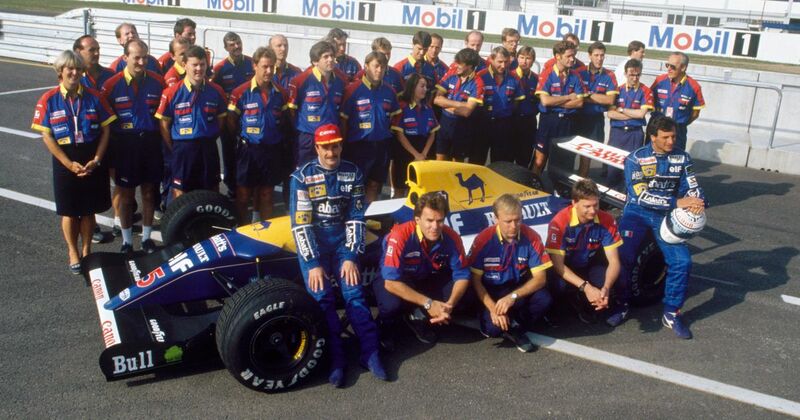 Williams turned up with a revised version of 1991’s FW14 - imaginatively called the FW14B - and almost instantly dropped a big hint that this would be one of the most dominant cars in F1 history. 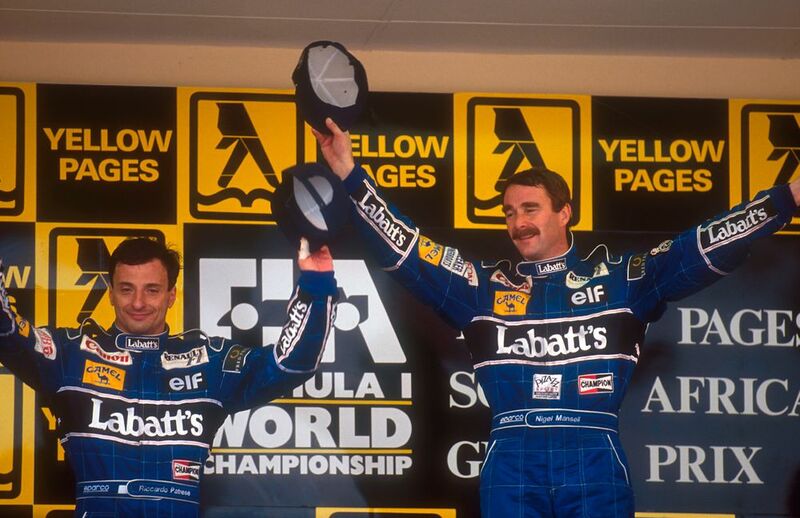 Nigel Mansell put it on pole by three-quarters of a second and went onto win at a canter with teammate Riccardo Patrese second and Ayrton Senna third. Funnily enough, the FW14B was only supposed to be an interim car - Williams had wanted to use the FW15 for the season, but the FW14B proved to be so successful that there was no need to introduce the completely new car.